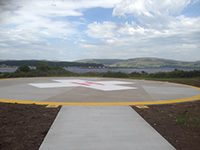 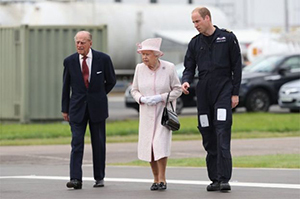 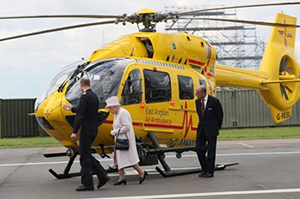 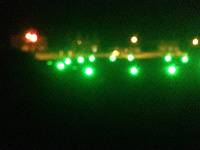 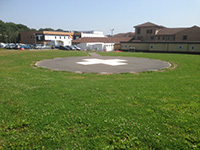 Airport Operational Services Ltd were commissioned by the Hospital to upgrade the Helipad at the Queen Mother, Queen Elizaberth Hospital, Margate, Kent. 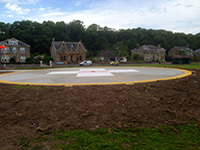 The work was carried out on time and to budget. 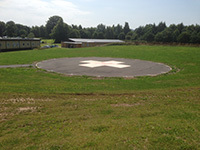 The Helpad is use by Kent Air Ambulance a MD 902 Explorer and Royal Air Force, 202 Squadron Sea Kings, is first user was a Sea King of the Belgium Air Force as shown in the photo below.